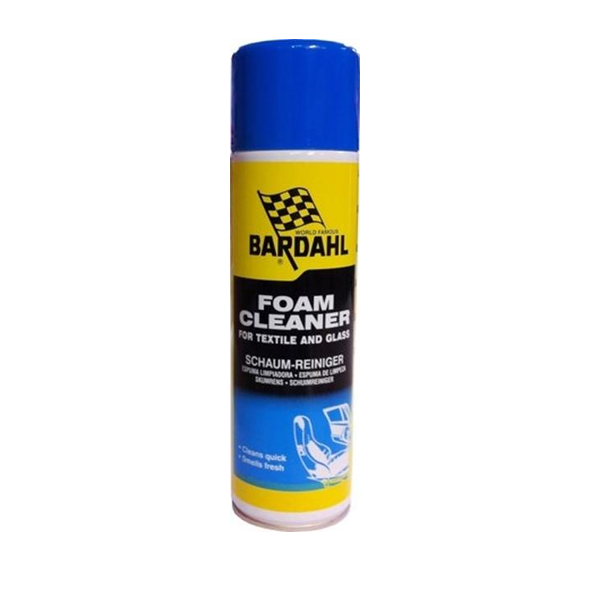 Bardahl Foam Cleaner cleans upholstery of seats, carpets, floor coverings, etc. It also cleans windshields, mirrors, headlights and all other glass. This product removes stains and brightens up colors. But, you can also use it for cleaning of ceramics, tiles, concrete, coated material, oil, ink, soot, bugs, wax, nicotine, grease, etc.